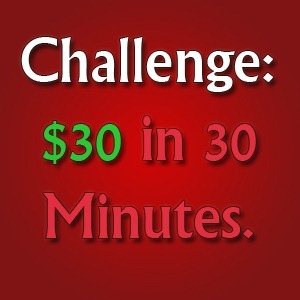 Six days ago I challenged myself to make $30 in 30 minutes online. 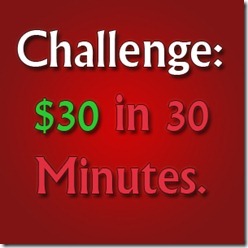 I wanted to tell you the results of that challenge. If you need to see the first post, here is the link. Sold the purchased Ipod for $144.89 + $4.99 shipping on amazon. Commissions was $12.09 and actual shipping costs were $5.09. Item was shipped a few days ago. Result of the Challenge: Success. 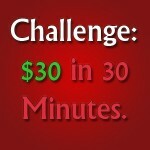 $33.02 made in 30 minutes. Disclaimer: Be sure to keep proper records for tax purposes!